The dish moulded in the form of a chrysanthemum with thirty scallops. 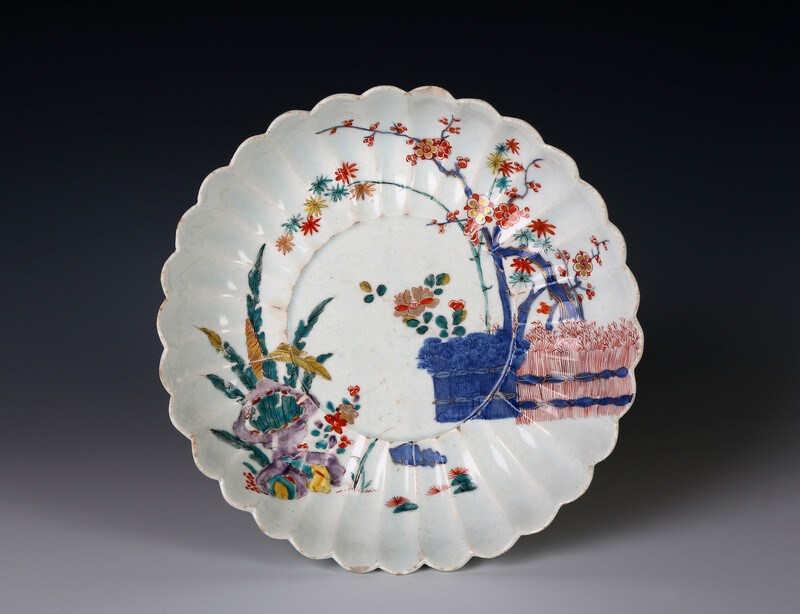 Decorated in underglaze-blue, over-glaze enamels and gold with plantain, bamboo and prunus issuing from banded hedges. Opinion is divided on the attribution of this rare dish. The palette of the enamels is unusual in using greens, yellow and mauve. The chrysanthemum form was made at both factories and derives from Japanese dishes which in turn were taken from Chinese. A partial waster of this pattern with the underglaze-blue part of the design was excavated on the site of the Bow factory and was illustrated along with this dish in Bow Porcelain by Elizabeth Adams and David Redstone (see below). Another almost identical example is illustrated in Simon Spero’s 2010 exhibition, no. 12 which he attributes to Isleworth and dates to 1760-1762. 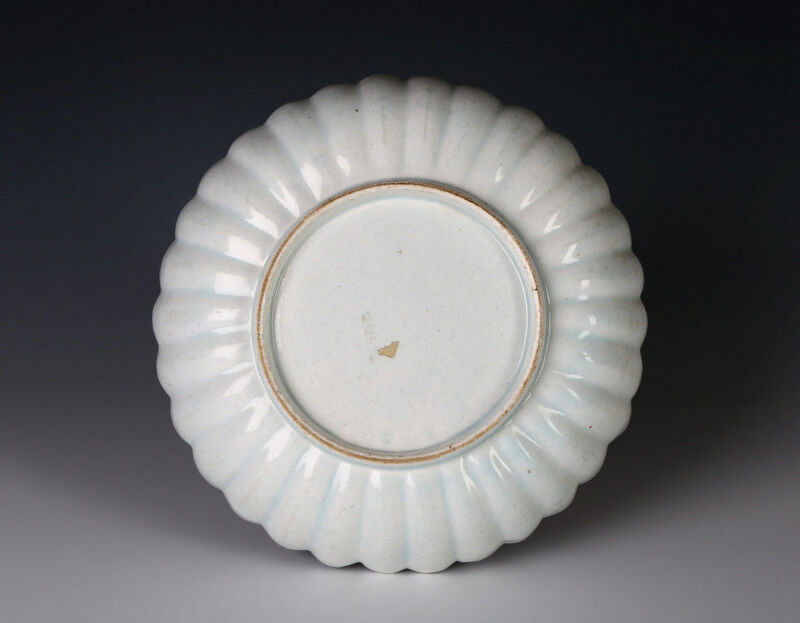 Unglazed wasters of fluted chrysanthemum-shaped dishes were found on the Isleworth factory site at Railshead Creek, with both 32 and 40 scallops. These sherds are illustrated in Isleworth Pottery and Porcelain, recent discoveries, Roger Massey, Jacqueline Pearce and Ray Howard, EEC and Museum of London Exhibition catalogue, 5-13 June 2003, p.10, right hand fluted sherd 110, has the same foot rim this dish. Condition – One large and two small chips to the rim, some rubbing to enamels and gilding along ribs. Literature – Ilustrated, Adams and Redstone, Bow Porcelain, 1981, pl. 47B and discussed on page 122.